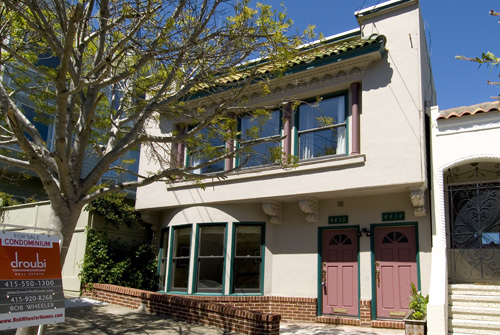 This lovely 2 bedroom 1 bath condo is located in the heart of Noe Valley in a classic Victorian building. The kitchen and bathroom have been tastefully updated. This condominium has lots of charm with lovely hardwood floors and built-in cabinetry. The 2nd bedroom is very private and is located on the ground level. There is direct access to the garden from that bedroom. The unit has its own deeded laundry room just off the garden. The building has new plumbing, heating, and electrical systems. On-street parking is very easy as this is a neighborhood of primarily single family homes with garages. This charming condo is located just a short walk to the shops and restaurants of 24th Street.